KUCHING: Tourism players in Sarawak should tap both nature and medical tourist sectors in effort to help attract more travellers to the state. 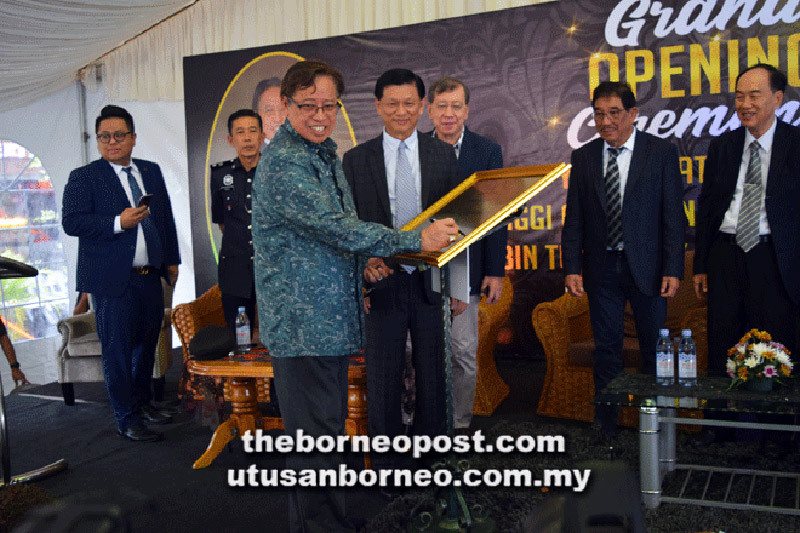 Chief Minister Datuk Patinggi Abang Johari Tun Openg said Sarawak had been receiving medical tourists from Indonesia while many other tourists visited the state to experience and appreciate its nature. “Most of those who visit Sarawak want to see nature while there are others who want to have medical treatment. Medical tourists from Indonesia go to Timberland (Medical Centre), Borneo Medical Centre and the one in Tabuan Jaya (KPJ) for medical treatment,” he said when opening Amamas Boutique Hotel at RH Plaza here yesterday. Abang Johari pointed out that 70 per cent of the state’s 4.8 million tourist arrivals last year comprised those from Asean countries. He asserted that the hospitality industry “is very important to our economic development, for it to flourish, we must have good services as well as places of attraction so that people can enjoy themselves during the visit. Our people must be friendly as well. “Sarawakians are very friendly people. And we have national park that is a mere 45-minute ride from Kuching,” he said. Abang Johari added that those who are in the city can choose from a number of national parks namely Bako National Park, Gading National Park as well as Semenggoh Wildlife Centre and Matang Wildlife Centre. “These are the places that people want to see in Sarawak,” he said. In terms of accommodation, Abang Johari believed that the new boutique hotel can offer affordability and quality to visitors. “Amamas can offer clean and affordable accommodation because I believe it is not too expensive and the services are of quality,” he said. He also hoped that the RH Plaza area will see further development to draw crowds to come there. “If we can have a shopping mall around this area, definitely people will look for good accommodation which is of quality,” added the chief minister.